It's time to start sewing the Zlata skirt! But, before that, we should print the pattern and assemble the patterns sheets. This time, I tried to make a pattern sheet layout that saves the paper and is simple and easy to uses. 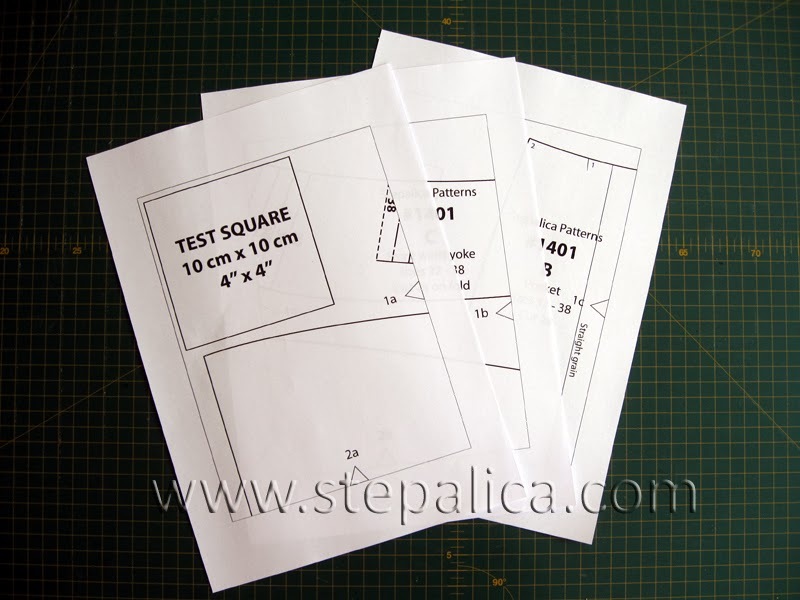 Along with that, the pattern sheet includes a measurements chart and printing instructions. 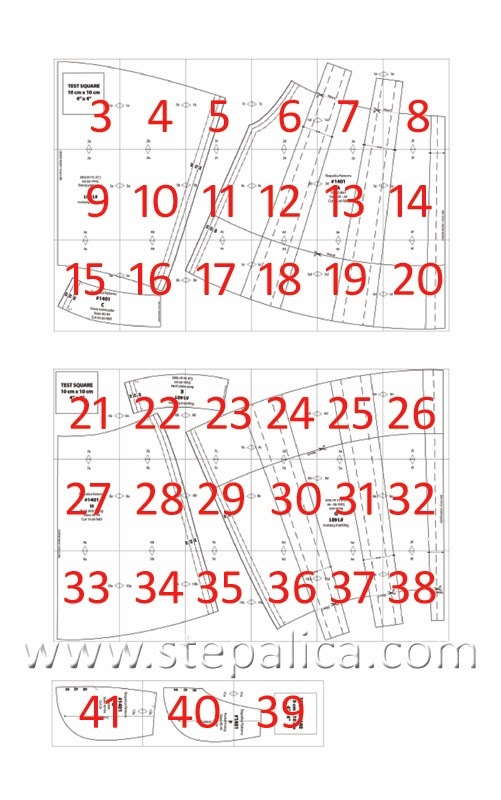 As I have said before, the pattern sheets for sizes 32 - 38 and 40 - 44 are split in two separate PDS files, so you need to print the one that contains your size. I'll use the pattern in sizes 40 - 44 in this post to demonstrate the process, but the procedure is the same for both sizes. However, I need to point out the pattern sheet for sizes 40 - 44 has three pages more than the one for sizes 32 - 38, since I could not lay all the pattern panels to the identical area. Set the paper orientation to Portrait - this should be the default option, so most probably you won't need to set it, but do check if the paper is properly oriented: click the Properties button which will pop up a new window, on the Layout tab check if the Orientation option is set to Portrait. If not, set it to the proper value and click the OK button. Set the Page Setup option to None. 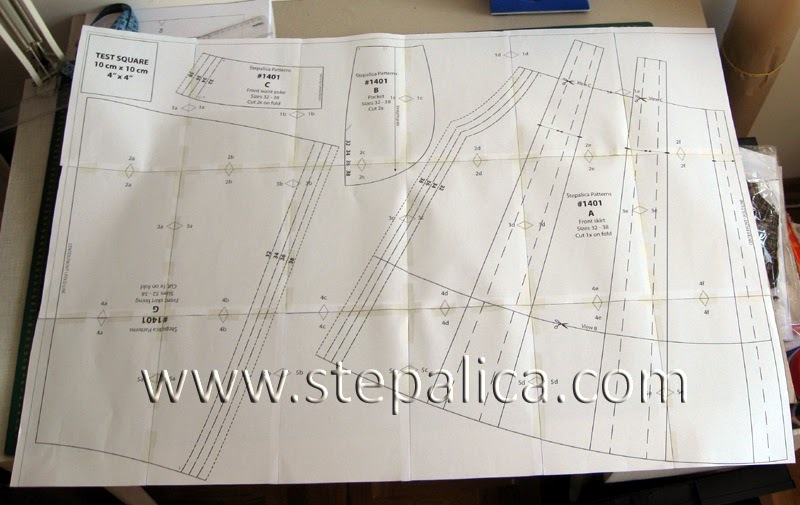 In order to make the assembling of the pattern sheet easier, I gropued the pattern panels into smaller areas, each of them being consisted of 18 sheets (with exception within the pattern for the sizes 40 - 44, which has additional 3 pages that form a separate area). The assembling chart for the pattern sheet is given on the second page of the pattern, ad it's displayed on the picture below. I've paginated the pattern pages on the picture, to demonstrate the order of printing. 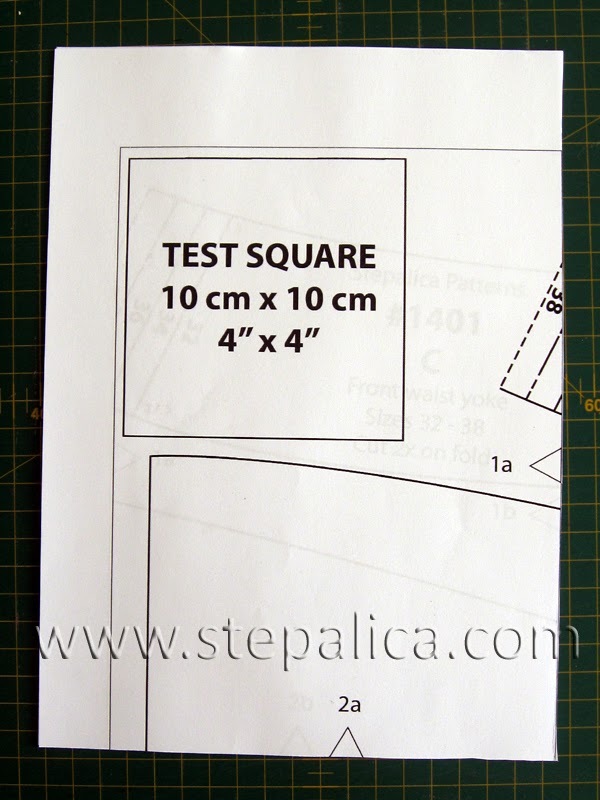 Before you print all the pages, check the printing settings once again, by printing the test square, which is on the page 3 of the pattern. 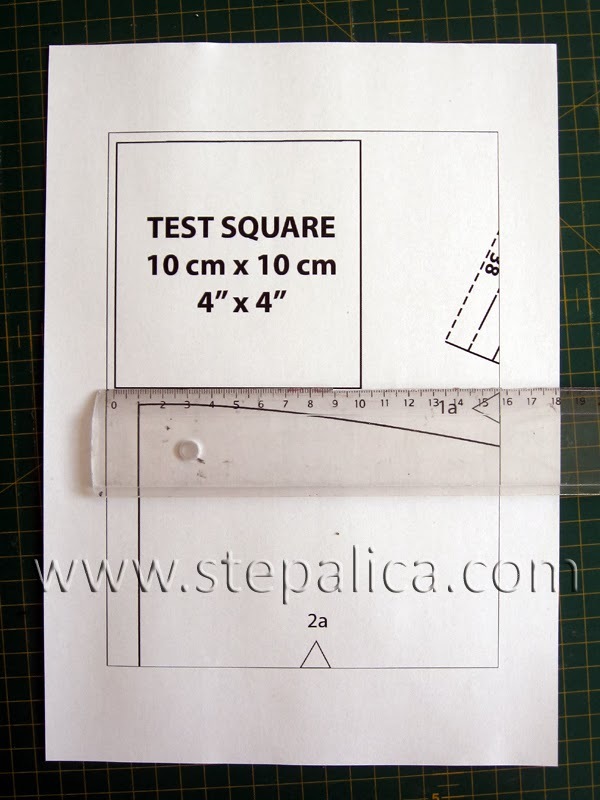 Measure the square, its dimensions should be 10 cm x 10 cm (4" x 4"). Once you've checked the print is properly set, print the rest of the pattern. When the pattern pages are printed, they should be taped into a pattern sheet. 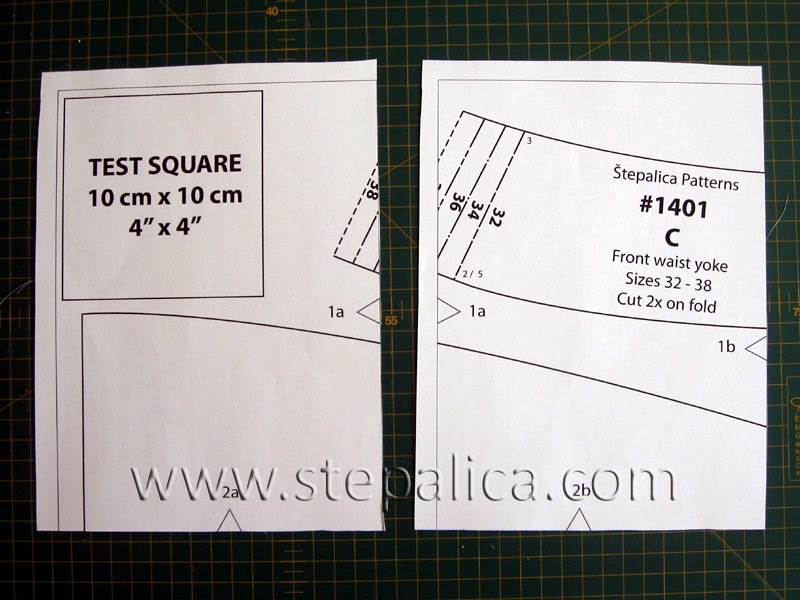 The pattern for sizes 32 - 38 contains 2 separate smaller pattern sheets, with each of them being consisted of 18 pages. 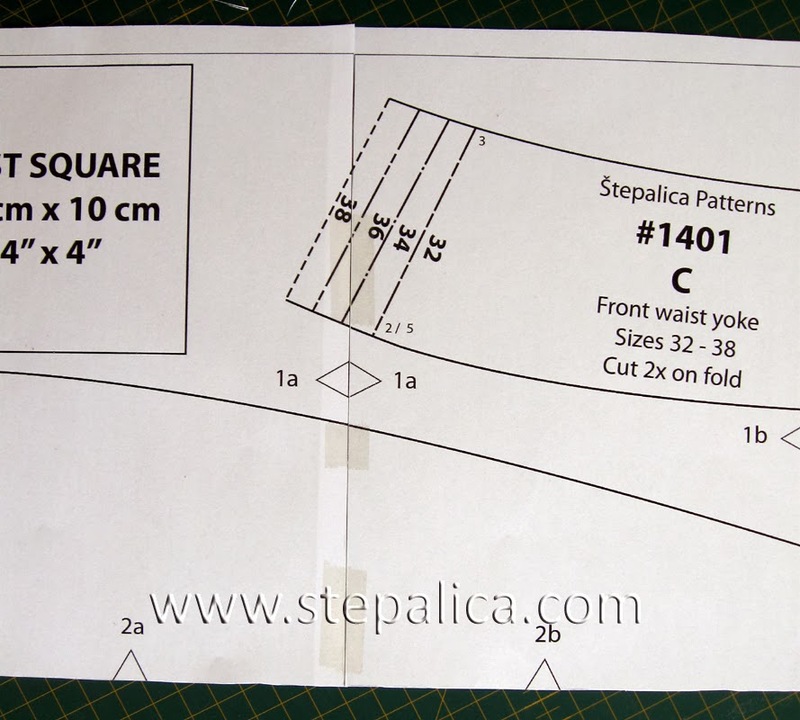 The pattern for sizes 40 - 44 contains 3 separate smaller pattern sheets - two of them being consisted of 18 pages each, and the third one consists of 3 pages. All the pattern pages should have their margins removed - my advice is to remove the bottom and right margins on each of the pages, and you can make the process faster by cutting several pages at once. I usually cut three pages at the time. 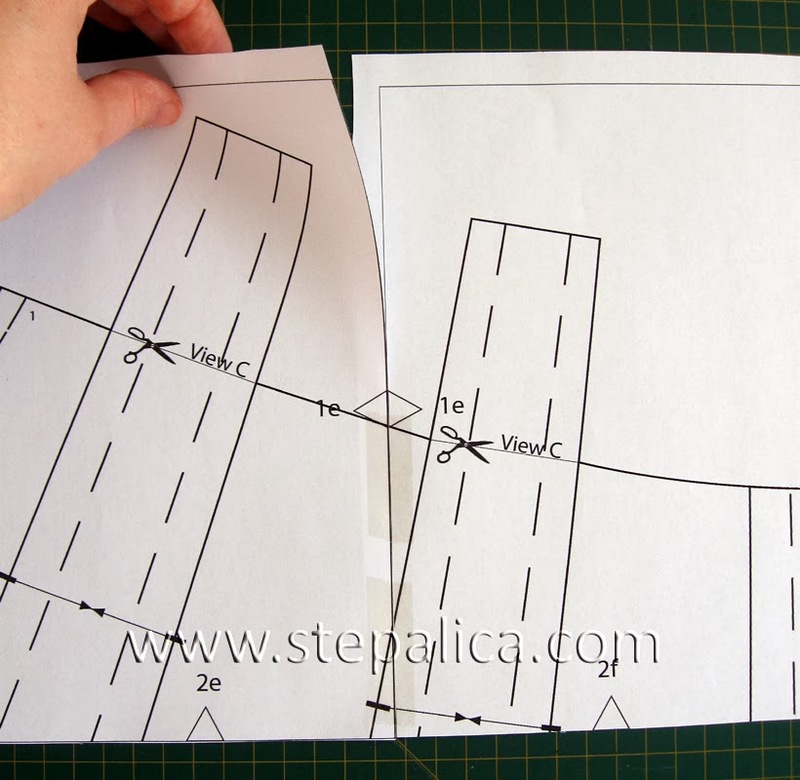 Follow the assembling notches on the pages and start taping the pages into pattern sheets. Try to match all the pattern lines on neighboring pages. You can use glue or an adhesive tape for this. I usually use the adhesive tape, as it's more practical, faster and easier. I try to save some of the tape by taping only along the pattern surfaces and skipping the outer areas, as shown on the picture below. First I assemble the rows, which consist of six pages, and then I tape the rows into pattern sheets. Don't forget to apply for the giveaway that's waiting for you in this post! Tomorrow we'll make some pattern alterations that include grading the pattern between two or more sizes.